In lieu of flowers, memorial donations may be made to March of Dimes and left at the funeral home. 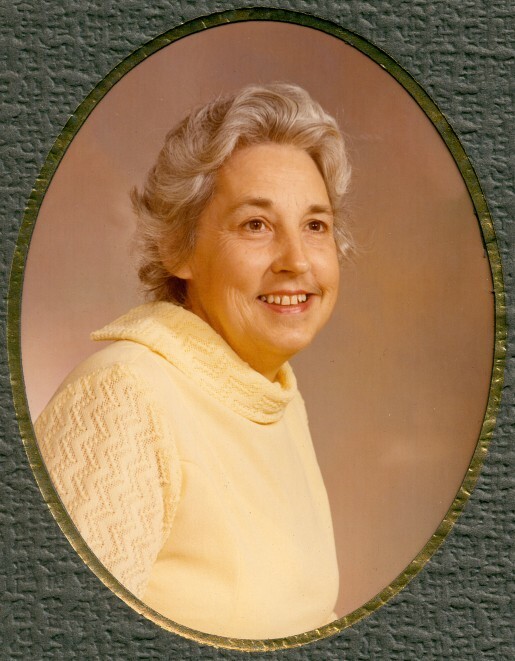 Sarah Ann (Cauthon) Howerton, age 90, of El Dorado Springs, Missouri, passed away at Community Springs Nursing Home on Thursday, April 3, 2014. Sarah was born December 26, 1923, near Gerster, Missouri, to Fred and Lula (Baumgarden) Cauthon. Sarah attended school at King’s Prairie School, near Gerster. Sarah married Thomas Eugene Howerton on December 2, 1940. They were married fifty-four years before Gene’s passing in 1995. To their union five children were born. During their early married life, they lived in Kansas City, but Sarah returned to the St. Clair County area while Gene served in the Navy during World War II. After this, they moved to El Dorado Springs, where they lived the remainder of their lives. She was a member of the El Dorado Springs First Baptist Church and attended there with her family until her health deteriorated. Sarah loved her family. They were her pride and joy, and she worked hard making a home and helping to provide for them. She and Gene raised a large garden every year, and she canned many quarts of vegetables, wild blackberries, and gooseberries. Any visitor in her home was offered a glass of iced tea and a piece of cake. She was employed at the International Shoe Company from 1957 until its closing. Preceding Sarah in death were her husband, Gene; her sons: Kenneth Dean and Toney Eugene; her parents; three brothers; one sister; a granddaughter, Megan Howerton; and two infant grandchildren. Survivors include her daughter, Mary Ann and Bob Wise, of Huntsville, Arkansas; her sons: Wayne and Sugi Howerton, of Colorado Springs, Colorado, and Phillip and Peggy Howerton, of Alta Vista, Kansas; daughter-in-law, Donna Howerton, of El Dorado Springs, Missouri; grandchildren: Mickie and Paul Palubicki, of Las Vegas, Nevada; Danny and Theresa Howerton, of Colorado Springs, Colorado; Trent and Vicki Howerton, of Olathe, Kansas; and Wayne Lee Howerton, Jr.; great-grandchildren: Daniel Palubicki, Brittney Lebold, Kayla Howerton, Jenna Howerton, and Hannah Howerton; sisters: Vera Estes, of Clinton, Missouri; Juanita Howe, of Raymore, Missouri; and Grace and Russell Bausch, of Titusville, Florida; brother, Richard and Phyllis Cauthon, of Kansas City, Missouri; and numerous nieces, nephews, and friends. Funeral services for Sarah Howerton were held on Monday, April 7, 2014, at 2:00 p.m. at Bland-Hackleman Funeral Home with Rev. Ron Marsh officiating. Interment followed in the El Dorado Springs City Cemetery under the direction of Bland-Hackleman Funeral Home. Pallbearers were: Trent Howerton, Danny Howerton, Gail Harvey, Bob Howe, Jimmy Estes, and Regina Roberds.